On 28 July 1936, Stalin signed Resolution no 1366 setting up three wine trusts that were tasked with making Soviet champagne. This was something of a challenge to Soviet vine-growers since until 1935 champagne or sparkling wine was seen as a ‘bourgeois luxury’ and they had been encouraged to root up the noble grapes planted in the nineteenth and early twentieth century in regions such as Abrau-Durso (on the Black Sea shores of the Crimea). These noble grapes had been the basis of a small production of Russian sparkling wine by the traditional method (what we now know as méthode champenoise) but official Soviet policy was to replace them with more prolific varieties. 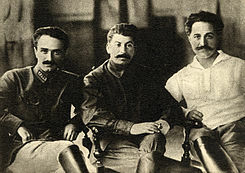 Stalin (perhaps under the impulse given by Anastas Mikoyan, the People’s Commissar for External and Internal Trade), decided that champagne was ‘an important sign of material well-being, of the good life’. The pressure was on to show that under Communism goods such as champagne and caviar that were once the preserve of the wealthy were now available to Soviet workers. The man who made it possible was Anton Frolov-Bagreev who had been involved in the champagne industry in the Crimea since 1905. Rather than méthode Champenoise which demands second fermentation in bottle he adapted (or just copied) the ‘tank’ method of bulk fermentation, though the Soviets called it the ‘reservoir’ method. This method produces lower-quality sparkling wines but can be installed on an industrial scale. This was vital since the Five Year Plan called for production to rise from 300,000 bottles per year to 12 million by 1942 … and failures to meet the plan were deemed to be treasonable. 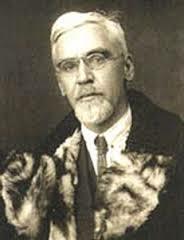 Frolov-Bagreev accepted that the tank method had a poor reputation in France but insisted that ‘it could be adopted with greater success under the conditions of a socialist economy’. I know of no tasting reports from the 1930s but have tried both dry and semi-sweet versions of the wine for the purposes of this post. What is indisputable is that at least post World War Two, Soviet champagne became readily available at kiosks and shops in major Russian cities. According to Julia (or Jukka) Gronow, whose book Caviar with champagne is far the best source of information on the ideals of the good life in Stalin’s Russia, when she first visited Russia in the late 1960s ‘champagne was sold and drunk in great quantities not only in the finer tourist restaurants […] but also in ordinary stores where it could be bought by the glass from early in the morning till late at night’. Caviar sandwiches were also available at cafes in museums, theatres etc. It was widely advertised – even on the sides of the State’s Black Marias as they dashed through the cities laden with prisoners heading for the Gulags – and became an essential part of the Russian New Year tradition. If you want your secret New Year wish to come true then you need to have the bottle open on the table as the Kremlin clocks start to chime midnight so that you can down your glass before the bells come to silence again. The Russian taste in the nineteenth century was for champagne that we would now find overpoweringly sweet – perhaps 200 grams of sugar per litre – and even today the Russian taste runs more to sweet and semi-sweet than dry. It’s reckoned that semi-sweet and sweet wines still account for over 80% of the Russian market. But the Russians had had experience – and even success – with traditionally made champagne. Prince Lev Golitsyn’s champagne from his Novy Sviet estate took a Gold Medal at the Paris Exhibition of 1900, beating those French champagnes that entered. It should be noted that the major producers did not tempt fate by entering such competitions but that’s not to say there was no competition. According to the Dundee Courier of 5th June 1900, one of the features of the Exhibition was the ‘riotous omnipresence’ of champagne such that the ‘son of temperance finds himself running up against the fizz at every turn’ and the Leeds Mercury’s correspondent commented on 21 April that lunch at the Russian pavilion consisted of ‘limited sandwiches and unlimited champagne’ . My bottle of Ukrayna 2008 Krimart off dry was deep lemony gold with small, short-lived bubbles and a honeyed, aromatic nose. In the mouth it was creamy, slightly citrus in flavour and definitely semi-sweet though with an agreeable bitter note in the finish. Well-chilled, it was refreshing on a warm Edinburgh night. My second bottle of Sovetskoe semi-sweet ‘sparkling wine’ had lost the ‘shampanskoye’ descriptor, probably as a result of the agreement signed in 2011 at the urging of Boris Titov, who now owns the top-rating Abra-Durso plant and name (and has a champagne house in France as well). See www.abradurso.com. He argued to sceptical producers that it would ‘be better for us to be members of international society [and] to go out with our wine without any problems’. This second wine was lemon gold in colour with large bubbles that died away quickly leaving a few persistent bubble trains. On the nose there were ripe green apples with a hint of apricot or ripe greengage. In the mouth the sweetness dominated though there was enough balancing acidity to make it a pleasant drink with fresh raspberries. There was a little stone fruit flavour but this was mostly masked by the rich taste and creamy texture. The finish is similarly dominated by the sweetness but there’s just enough acidity to provide balance. 11.5% in alcohol but no indication of the grapes which, by all accounts could include Aligote and Chardonnay but possibly also Colombard. If you want to try for yourself Sovetskoe sparkling wine and Ukrainian counterparts are fairly readily available in Eastern European food stores at around £7.50 per bottle. If you want the best quality then try Abra Durso’s Cuvee Alexandre II at Berkmann Wine Cellars (www.berkmann.co.uk) and expect to pay around £20. This entry was posted in On this day, What I've been drinking and tagged Shampanskoye. Bookmark the permalink.